The Victory Hall academic building is being enlarged to include a new gymnasium and additional classroom space. A new entrance at the east end of the cross campus pedestrian path is being designed as a landmark and will include an outdoor seating area. 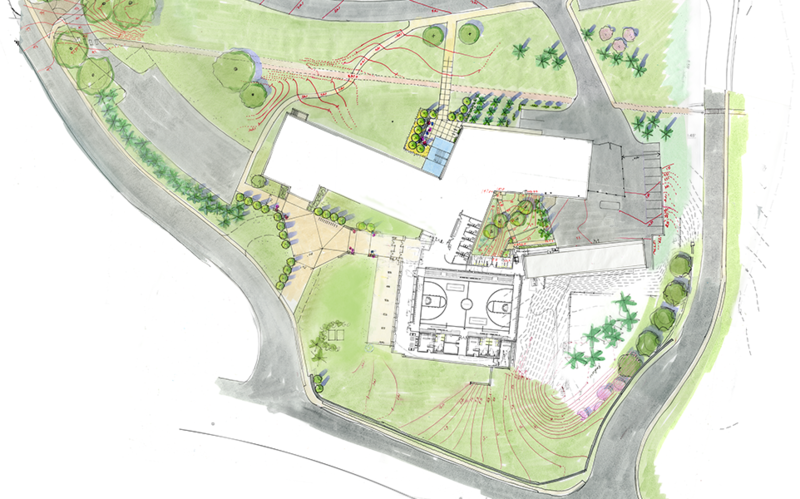 The new gymnasium addition will include an outdoor gathering space, new walks and pedestrian amenities. With Clarke Caton Hintz Architects and Ferguson Malone Architects.